The way to success in the business world today isn’t just through high performance and reaching goals and incentives. There’s a real focus on the customers — making sure they’re happy, comfortable and don’t feel pressured. Just as important is making your workplace accessible. Focusing on the needs of your customers before an issue arises is the best way to keep customers happy and welcome them back again and again. The American Disabilities Act requires businesses of all shapes and sizes to comply with its regulations. Much of this process includes making sure anyone, no matter their abilities, can gain access to your building and also be an active part of your business. 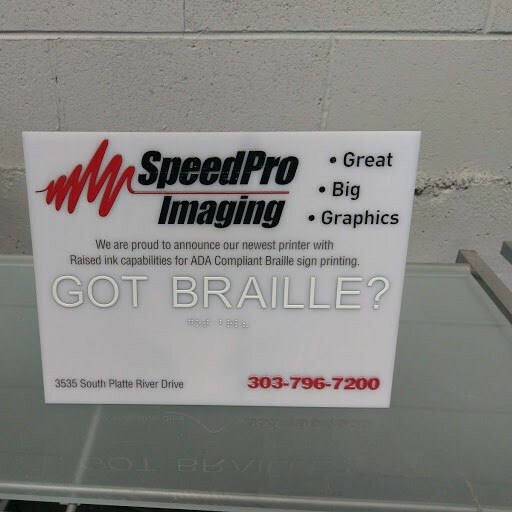 SpeedPro Imaging Mile High can customize ADA building signage to greet and inform your customers and create a more inclusive environment for everyone involved. Contact our studio if you’re based in the metro area of Denver or the Colorado Front Range and want to learn more about these signage solutions. How Can You Create an Accessible and Welcoming Work Environment Using ADA Signs? The key to adding ADA building signage into your workspace is to make sure it’s viewable in multiple locations. Both the inside and outside of your building should be labeled to be as helpful as possible. The sooner you start guiding and welcoming guests, the more trust you can build with them. Clearly label parking spaces for physically disabled guests and employees. Provide parking as close to the front entrance as possible, limiting the distance these visitors have to travel. Some new signage is now available that can also provide priority parking to expectant mothers — who may not want to exert the extra energy to walk far distances — as well as parents of children with disabilities. Staircases, ramps and elevators should all be labeled for directional purposes. The last thing you want to do is lead someone toward an area they can’t access — such a situation would likely turn into a negative interaction and make a bad impression. Bathrooms are another key area where you should post ADA signage. Labeling stalls or a particular area as wheelchair-accessible will ensure a smooth and comfortable experience for everyone. Customers and employees who use wheelchairs for assistance will know there’s a space reserved and available for them if you take these steps. When customers feel greeted, welcome and cared for because of your ADA signs, they’ll be more likely to return. Where Should Braille Signs Be Posted? 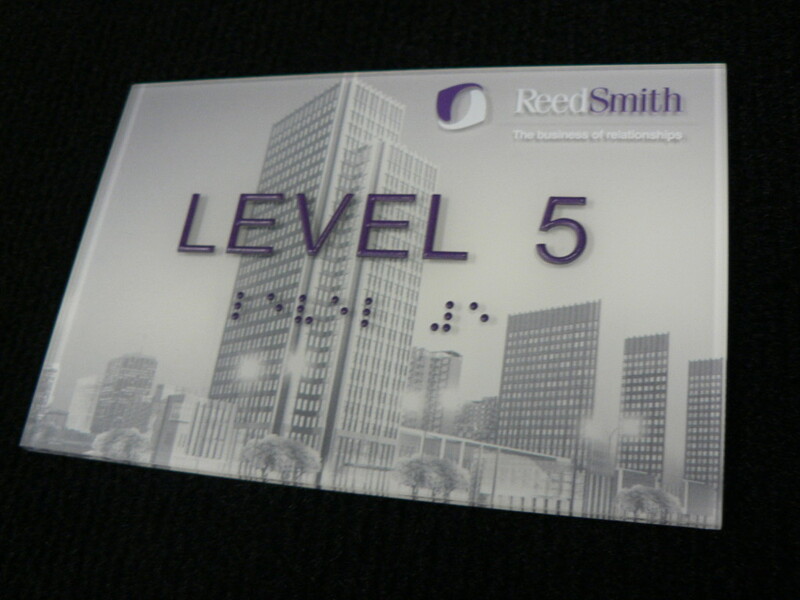 Braille signage is still used in public settings like banks, hospitals and grocery stores. 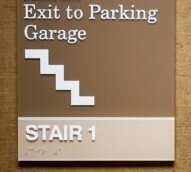 Exits and entrances must be identified in braille. If you work in an office setting that has multiple open rooms or offices, keep them clearly labeled with text and braille. 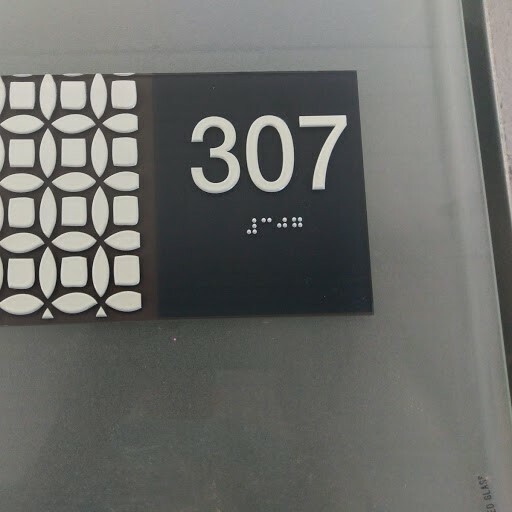 It’s also wise to install braille signs outside of areas that are reserved for employees only, as doing so will ensure guests don’t accidentally trespass or walk into restricted areas. Keeping your building and office area compliant with the law is crucial to the success and longevity of your business. Customer connections will increase, and a comfortable environment will encourage guests and clients to return. 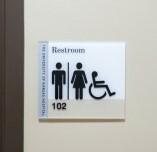 Call our team today for more information about the proper ADA building signage for you. Speedpro Imaging is dedicated to providing ADA-compliant Signage that makes any building more accessible, more professional, and more welcoming. 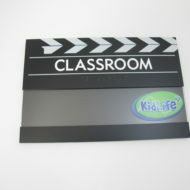 We can create custom designs and pictures that suit your needs.